Flexi aid rein-ends. Good to use if you have a tendency to be a little to hard with your hands. 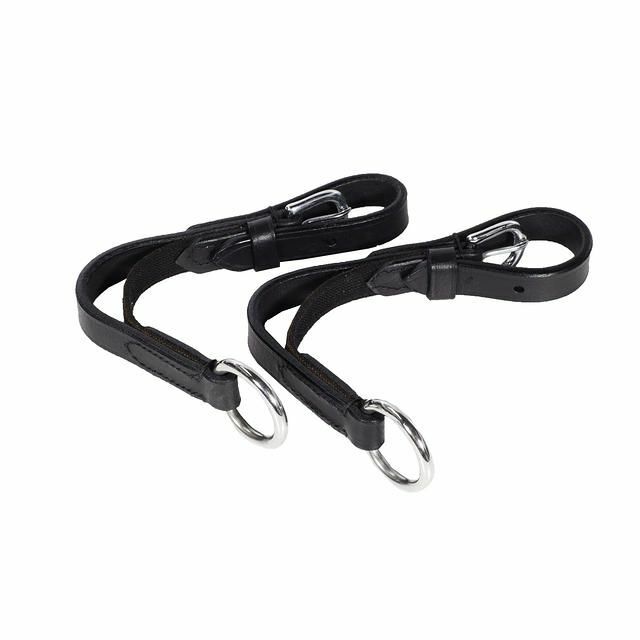 Attaches to the end of the reins and the elastic works to even out the pressure. Made with 100% leather.